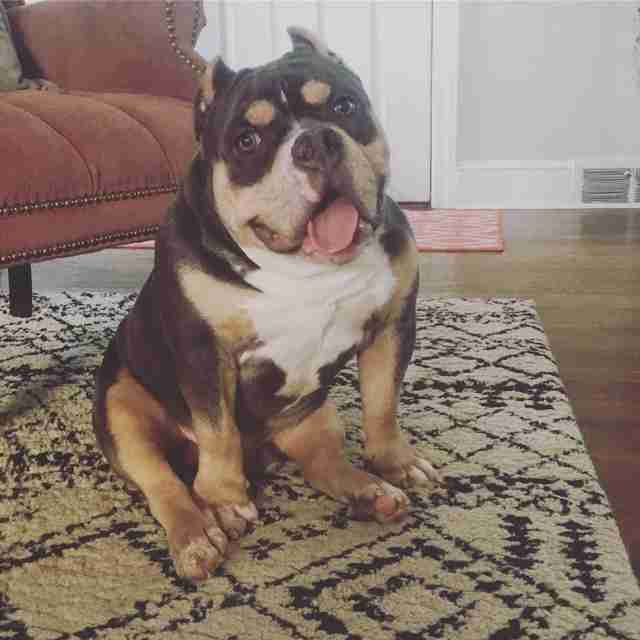 "He's such a ham ... He loves everyone and everything." Macho Furious the dog has a seriously ironic name, given his sweet goofball personality. "He's such a ham," Caitlyn Reynolds, founder of Rescue for the Misunderstood and Macho Furious' foster mom, told The Dodo. "He is the happiest dog." The pup, who is 8 months old, lost the use of his back legs on Christmas day. Several days later, his then-owner, a breeder, brought him to the veterinarian. 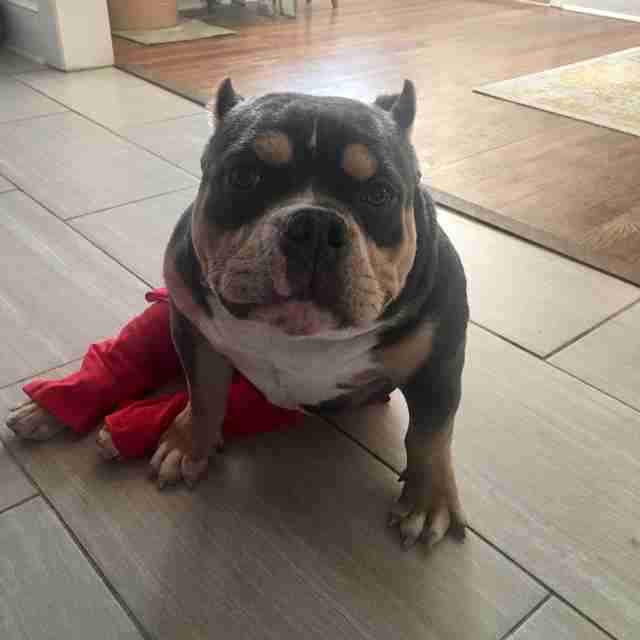 When the vet said Macho's paralysis was likely permanent, the breeder said that he had no use for a dog in this condition, and asked for Macho to be euthanized. The veterinarian said no to euthanasia, instead reaching out to BARCS, Baltimore's city shelter. BARCS in turn put out a call for help among the shelter's rescue partners. As soon as Reynolds saw Macho's photo and learned of his story, she got in the car and drove from her home in Wilmington, Delaware, to pick him up. "Thank God that the vet stepped in and refused to euthanize," she said. 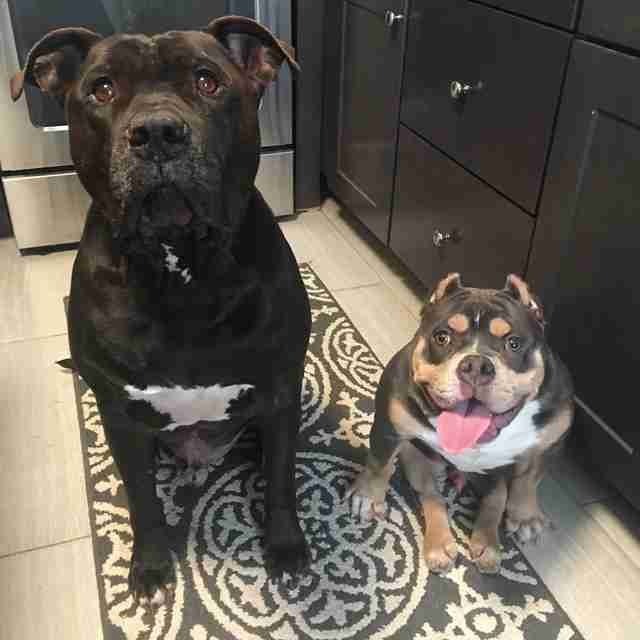 Since January 3, Macho Furious has been living with Reynolds — along with her fiance, their six adopted dogs, three foster dogs and two cats — at their home. Macho seems delighted with every aspect of his new life. 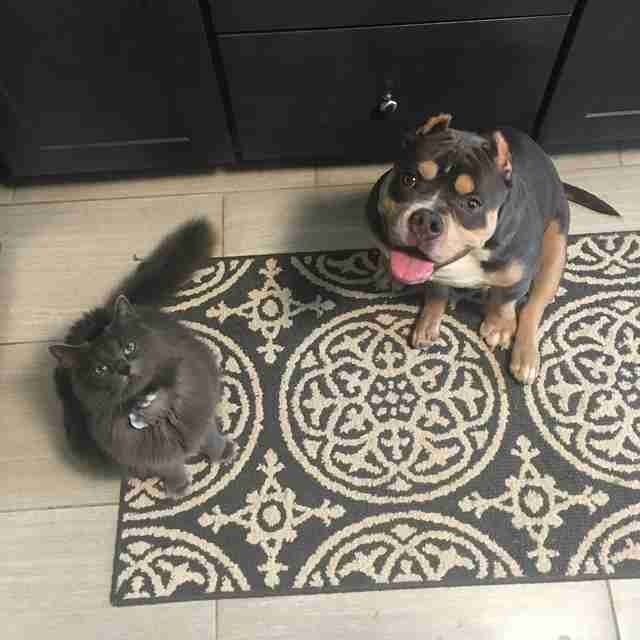 He is crazy for the other dogs, and has grown especially close with another special needs pittie named Knuckles. He is enamored with the cats. Toys are thrilling to chew on and play with. He can't walk on four legs, but he scoots around the first floor and the backyard with confidence. Macho adores climbing into Reynolds' lap for kisses and belly rubs while the family watches television. Then, when it's time for bed, he happily allows himself to be carried upstairs. "My arms have gotten quite strong," Reynolds said. "He loves everyone and everything." Why does Reynolds call this sweet dog by such a tough-guy name? The breeder named him Furious. When Reynolds took him in, she thought about calling him something entirely different. But he seemed to respond to the name — so she figured she'd add "Macho" and make it a little more cartoonish. 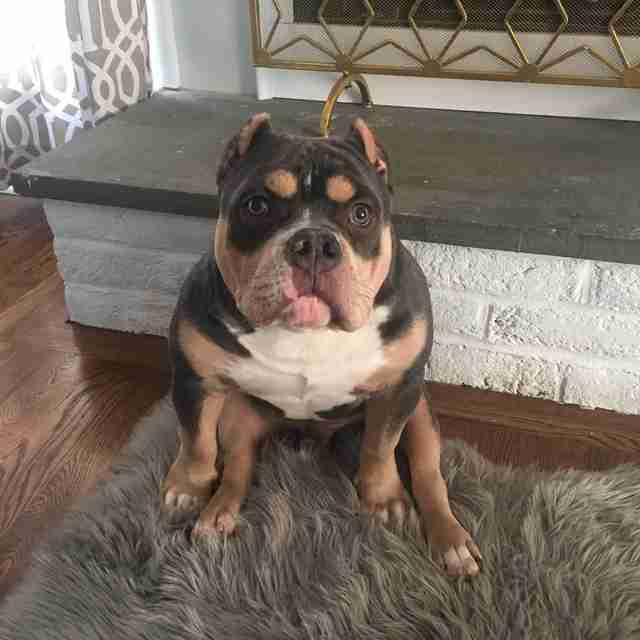 The specialty veterinarians who have been working with Macho Furious say his paralysis was probably caused by bad breeding. It's unlikely that any surgery or other treatment will get his hind legs working — though fortunately, he is otherwise healthy. He'll be even more mobile soon. A nonprofit that donates wheelchairs to dogs is sending over Macho’s first set of wheels — and has committed to replacing them every time Macho Furious needs a new set, for the rest of his life. 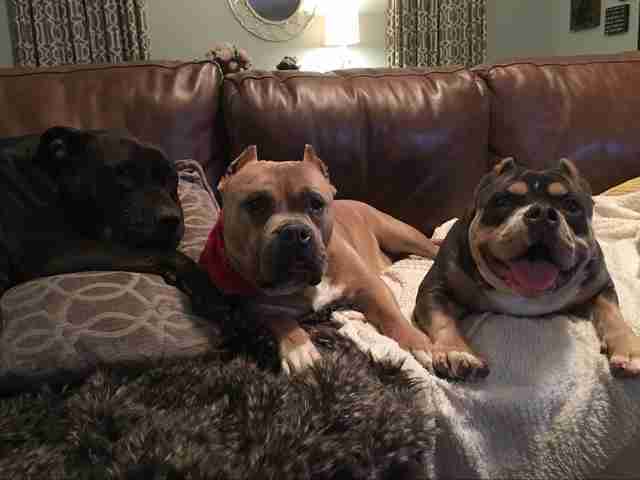 "Rescues have a tough enough time fundraising and getting animals adopted out, that the last thing I want them to have to worry about is trying to fund a cart," Jason Parker, founder of Gunnar's Wheels Foundation, told The Dodo. 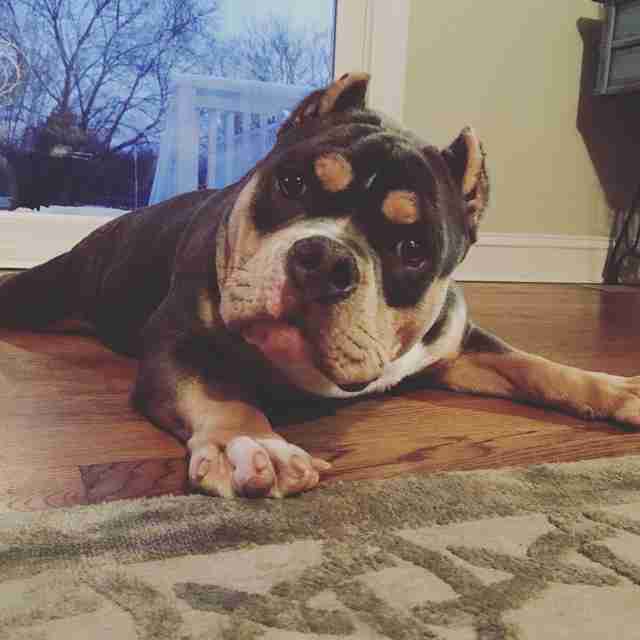 Juliette Crosson, BARCS' rescue coordinator — and the person who placed Macho Furious with Reynolds — said Rescue for the Misunderstood and other rescue groups "are critical in helping give dogs like Furi a second chance." "We are so thankful for [Reynolds] going above and beyond in getting Furious the care he needs," she added. Reynolds expects Macho Furious will be with her for at least another month. That's likely how long it will take for him to get used to his wheelchair and undergo his neuter surgery. Then, he'll go up for adoption. Reynolds will be extremely picky about who gets this special boy. Macho Furious came so close to not being here at all, so every second of his second chance is precious. And naturally, Reynolds will insist that his adopters live within a short driving distance, "because I need visitation," she said. "I definitely think he's got a long happy life in front of him," Reynolds said. "I'm just glad we got him. He'll have a good life." To help cover Macho’s care, you can make a donation.